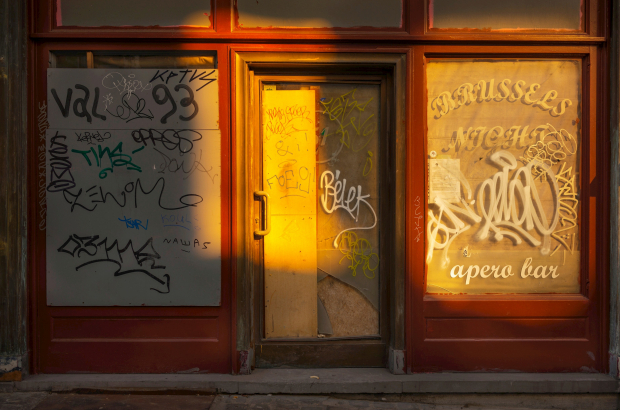 In the Brussels-Capital Region, some 3,500 shopfronts are empty, or 13.5% of all available commercial space. The biggest percentage is within the Brussels pentagon – the commercial heart of the capital – where a 18% of available shop space sits empty. According to a study carried out by the regional government and published in La Dernière, the biggest conglomeration of empty shops is in the Marolles and the Congress neighbourhood, where a full one in five spaces are empty. But Saint-Gilles and Saint-Josse also struggle with the problem. One of the reasons, according to the study, is that the spaces are relatively small, while most businesses, especially established chains or those that are expanding, are looking for larger spaces. Outside of the Brussels inner ring, it’s mostly the northern areas with abandoned shop space. The Place Reine Astrid in Jette and the Bockstael neighbourhood in Laken are two spaces where businesses have moved out, and nothing has taken their place. It’s a historical trend, according to hub.brussels, as family businesses continue to be swallowed up by national and international chains. In 1950, there were 43,000 businesses in the capital-region, compared to 25,435 today. Brussels’ economy minister, Didier Gosuin, said that the study proves that the capital needs larger commercial spaces. “There’s a vast difference between supply and demand,” he said.